PT Adhi Persada Properti - APP or later known as Adhi Persada Properti is a well-known national property developer in Indonesia. Adhi Persada Properti is an integral part of PT Adhi Karya (Persero) Tbk (ADHI Group). 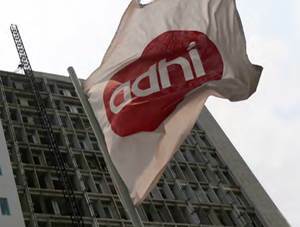 As of December 2016, ADHI Group - one of the largest state-owned construction companies in Indonesia - holds 99.7% ofAdhi Persada Properti 's shares. PT Adhi Persada Properti operates primarily as a high rise building and property developer. Its projects including apartments, condotels and ofﬁce towers. PT Adhi Persada Properti was first established in 2002 and initially registered as PT Adhi Realty. The name of PT Adhi Persada Properti was officially launched in 2012. In term of financial performance, Adhi Persada Properti succeeded in posting excellent financial performance in 2015. According to PT Adhi Karya (Persero) Tbk Annual Report 2015 as cited by JobsCDC.com, PT Adhi Persada Properti booked total assets of Rp 3,184.96 billion in 2015. This number is up 122.25% growth from Rp 1,431.66 billion in 2014. Required experience as marketing for minimum 2 years, preferably in property industry. Good knowledge in project management or admin management. Strong sense of analytical skills in preparing reports. Good personality, quick learner, proactive. Able to work under pressure, self motivatedm attention to detail and result oriented. Able to manage time and commit deadline. Good communication skill and pleasant personality. Skilled in using Microsoft Office applications, excellent skill in Excel. Willing to visit industrial area. JobsCDC.com now available on android device. Download now on Google Play here. Please be aware of recruitment fraud. The entire stage of this selection process is free of charge. PT Adhi Persada Properti - Marketing Manager ADHI Group July 2018 will never ask for fees or upfront payments for any purposes during the recruitment process such as transportation and accommodation.